2011's 8110 Mercedes-Benz Unimog U 400 saw a new compressor (Design ID 99798) and connection piece (Design ID 99021), in 2015 we saw two much-wanted new types of longer cylinders (Design IDs 19476 and 19478) in set 42043 Mercedes-Benz Arocs 3245 and in 2016 with 42053 Volvo EW160E (an excavator) a new pump (Design ID 26288) to be operated. 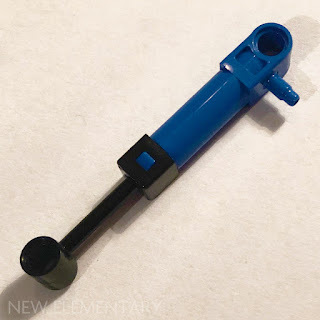 In the meantime, the parts we already knew had small updates, with better connections for the tubes. So, roughly put, the trend seems to be a new Pneumatics set every other year with parts renewed when a new need comes along. The only part that had not been updated since 2003 was the Pneumatic Switch (Element ID 6131617). 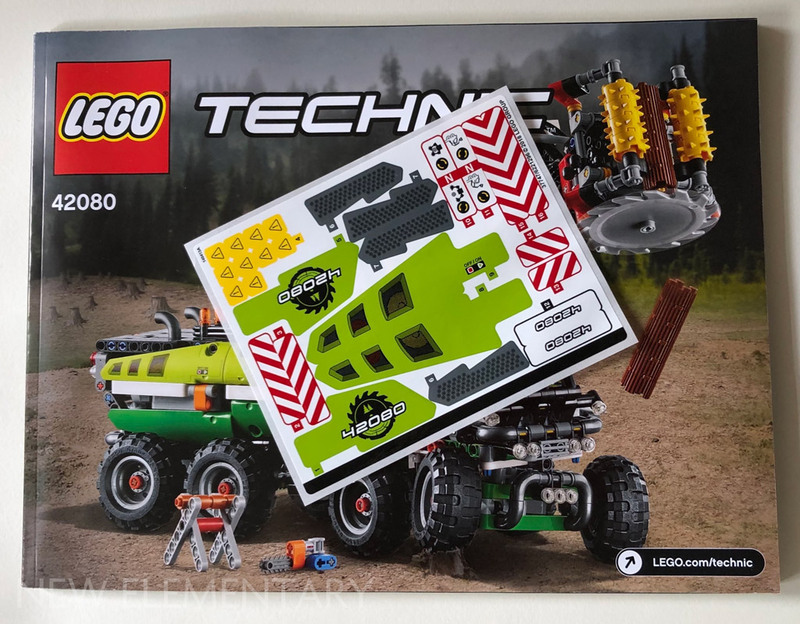 2018 has been a meagre year when it comes to new Technic parts. Aside from 42083 Bugatti Chiron, the only new parts introduced in the summer range this year are in this Pneumatics set. So, without any further ado: let's take a look at 42080 Forest Harvester. 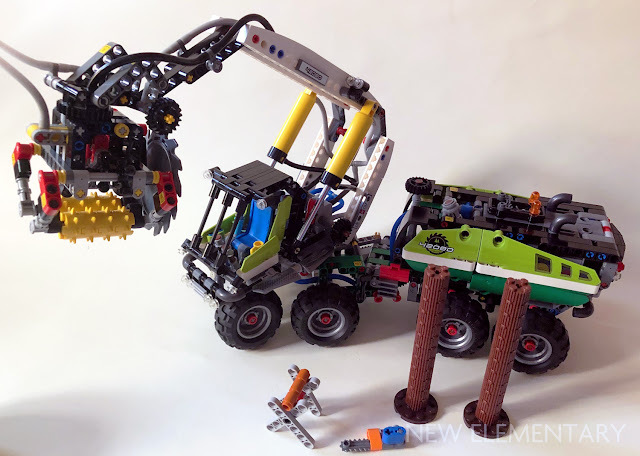 The Forest Harvester comes with 1,003 parts and includes two new parts. One is this new small 6L Pneumatic Pump in Bright Blue [TLG]/Blue [BL] (Element ID 6152131|Design ID 26674), an improved variation of Design ID 99798 released in 2011. 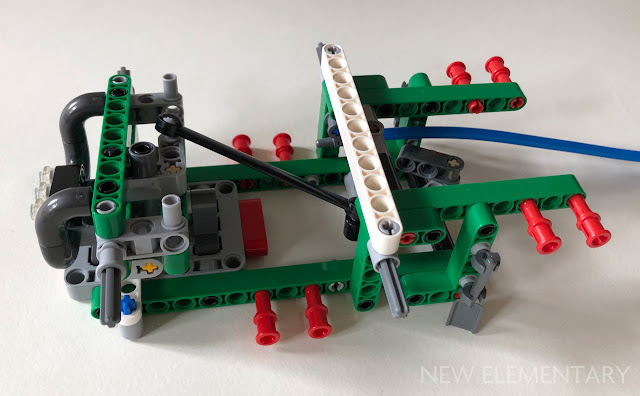 The other is more interesting; a Pneumatic Switch which is 5 studs wide and about 4 studs high, including the lever and the outlets for the hoses. The most important change is the inclusion of an axle hole, which allows the operation for the switch by turning a knob rather than by moving the lever. 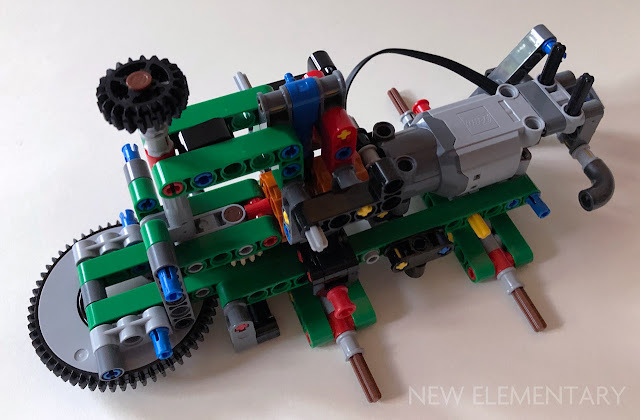 In theory, this means geared and even motorized operation (with a servo motor) would be optional, but the downside is the switch still moves rather sturdily and heavily, so it remains to be seen if this will ever be included in an official set. Another big change to this part is the fact that the outlets are moved from the side of the switch to the bottom, therefore allowing the switch to be built into a model without having to deal with pneumatic tubes sticking out and demanding space. One side of the switch is Dark Stone Grey rather than Medium Stone Grey like the rest of the part. Although this includes a glued-on panel, the reason for having two colors is rather obscure. Not the prettiest sight. This Technic set includes two of these new switches; the Element ID is 6099773 and the Design ID 19474... which are quite old numbers. They're extremely close to the IDs of the longer pneumatic pump from 2015's 42043 Mercedes-Benz Arocs 3245, suggesting these two parts were designed at the same time but only one was used. 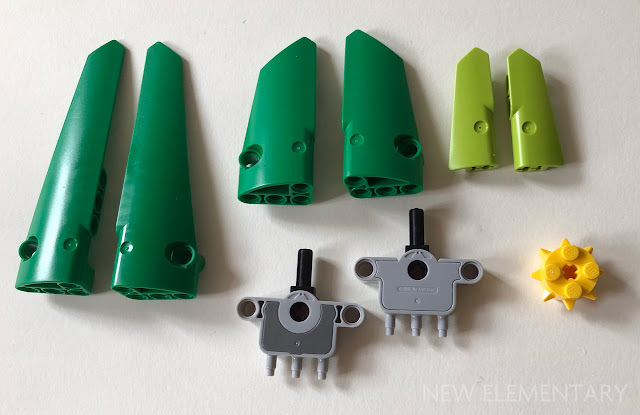 There are also a few parts in new colors, mainly Technic panels. You get panels #3 and #4 (Design IDs respectively 64683 and 64391) in Dark Green [TLG]/Green [BL]. Same goes for the longer panels #5 and #6 (Design IDs 64681 and 64393). All of these panels are included once. Panels in new colors are always extremely welcome, since they cover up ugly open spaces and give a nice curved look to Technic sets. Subsequently the small panels #21 and #22 (Design IDs 11947 and 11956) are new in Bright Yellowish Green [TLG]/Lime [BL]. You get two of each. 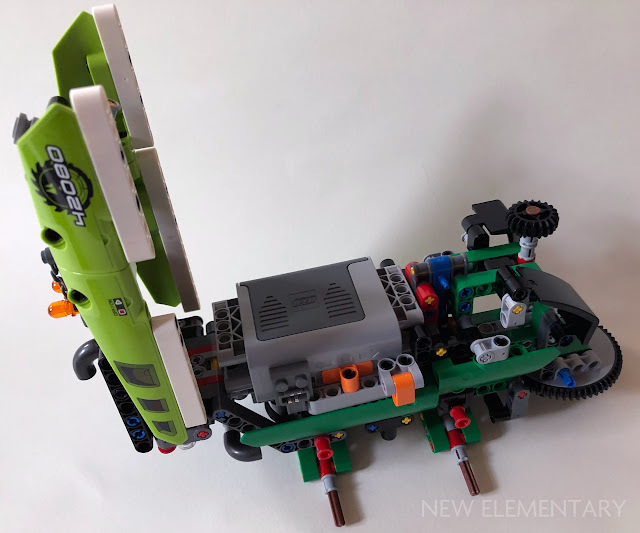 Finally, there is a System part in a new color: the Brick, Round 2 x 2 with Spikes and Axle Hole (Design ID 27266) that was only introduced last year. 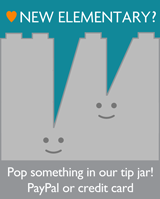 Set 42080 includes eight of these in Bright Yellow [TLG]/Yellow [BL] for the first time. Accompanying the instruction manual is a sheet with 28 decals. The build is divided in three sections, the first being the front part of the model, also including the cabin. It starts with a steering united, that is operated by a 9-stud long link which is connected to the rear part of the model. 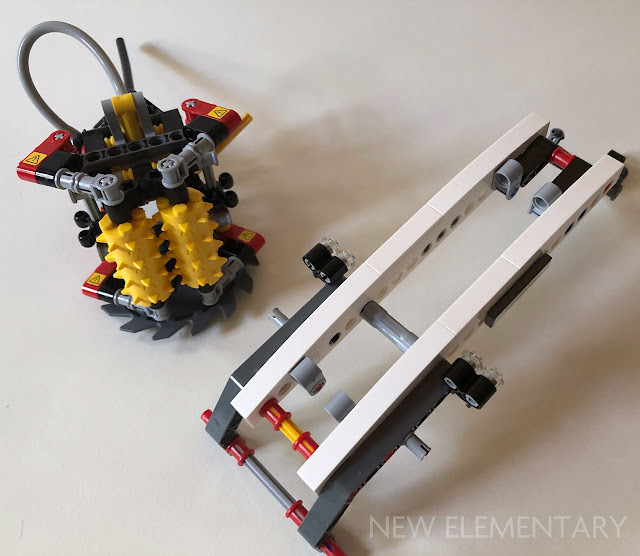 Since there is a turntable between the two parts, making the turntable rotate will also cause the steering unit to move. Next up is the build of the cabin which includes the new switches, placed side by side. For the past couple of years regular System parts have been integrated in Technic sets more and more. For this set, it is a nice touch that there is a small yellow drinking cup included as well as a shovel, axe, two dark grey ladders and a red toolbox. Unfortunately, the doors of the cabin cannot be opened. Also, the whole cabin including the crane part can be rotated almost 360 degrees, yet only by hand of god. A geared set-up would have been much more sophisticated. The second phase of the build is the rear part that also includes the central turntable (that can be operated with a central knob) as well as the pneumatic compressor, L Motor and battery box. The two rear axles are not stationary, so can move rather freely allowing the vehicle to cross rough terrain. A nice touch is the way the battery box is built in fully, therefore also necessary weight to prevent the machine from tipping over. The top of the back part of the harvester can be lifted to expose the battery box. The switch of the box can be operated with a smart switch system that can only be moved one way. Once joined, the two parts show an eight wheeled vehicle that has considerable length. The final part of the construction is dedicated to the crane. It shows a good marriage of studless and studded beams, covered by white curved slope pieces and tiles. The crane is moved by two large Pneumatic cylinders that are mounted upside down. The pre-cut hoses do not take an enormous amount of space because of the way they are guided along the beams of the crane. At the end of the crane arm a grabber system is included. The grabbers, which have a jagged shape thanks to the spiked bricks, can be opened and closed by means of a small Pneumatic cylinder. Subsequently, there is a system that can either raise or lower the grabber sections. It makes use of a smart locking system, that operates rather heavily. 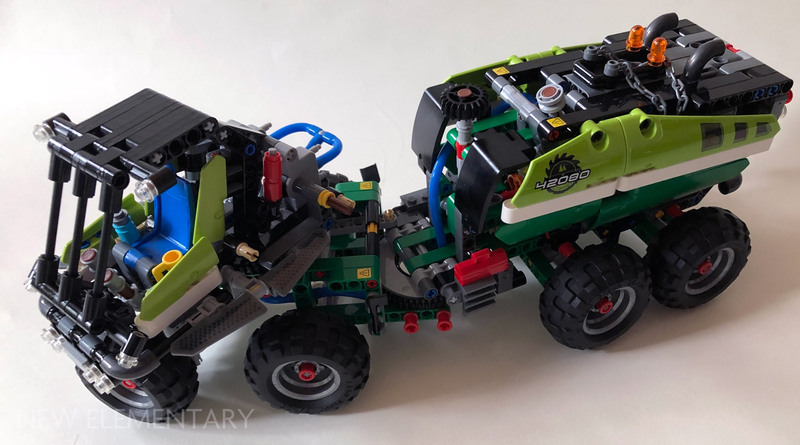 Just as in real life, forest harvesters are not a common sight in LEGO sets. Usually these types of machines are Technic b-models. 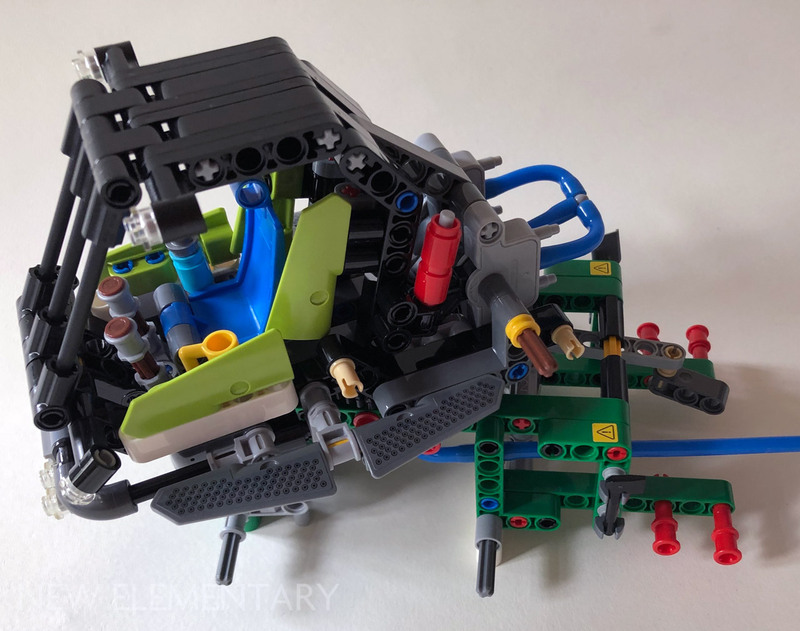 By introducing more specialized construction equipment and machines, the people in Billund keep thing interesting for Technic aficionados, although it remains to be seen if a young target audience will fall for unknown pieces of machinery they hardly ever come across. This 2018 Technic set is full of details, especially in the last steps where big logs of wood, a chainsaw and a rack to store the wood logs are included. This makes playing with this set much more entertaining. There is hardly any gearing involved, in fact, the two-part steering unit is the only part of the model that is operated with (a minimum amount of) gears. 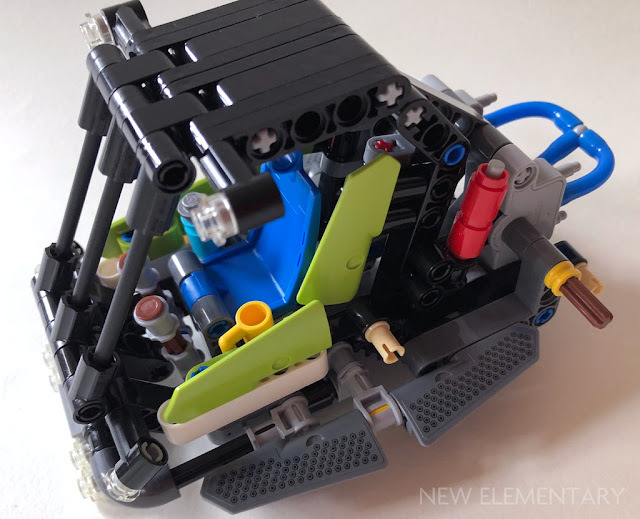 So this set is all about the Pneumatic functions and based on these merits there is a lot that could use improvement. By choosing a motorized compressor system, operating this forester harvester is a case of ones and zeroes: all or nothing. The raising of the heavy crane arm is rather shocky, but lowering it makes it drop instantly. This is one of the downsides of the Pneumatic system and the use of linear actuators does not only make operating the machine more precise, but also provides a more challenging build. The most ideal sets are the ones that see a marriage of the two systems. The 2013 green Service Truck (set 42008) was a perfect example. Since the back part of this harvester is rather narrow it starts to shake heavily when you set the motor in motion. Using the Power Functions system to operate the functions may not be the best choice. This machine could have easily using a manually operated pump. Furthermore, some functions can only be operated by hand, like the rotation of the cabin and rotating the grinder part of the arm. And concluding, this set would have been much more challenging a build if the battery box was replaced by a fake motor unit.